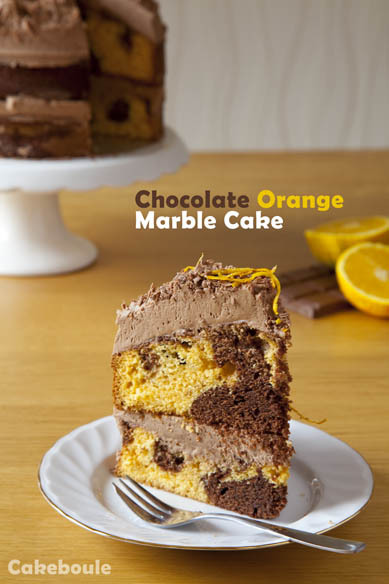 This entry was posted in cakes, Chocolate, Recipes and tagged dessert, food, marble cake, orange marble, self raising flour by Jacqueline Jay. Bookmark the permalink. Thank you for your commments. Yes I liked the colour combination too it worked well so I was really pleased. squee! 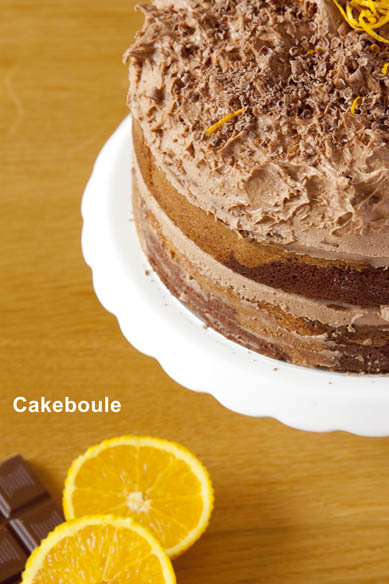 Choc orange is my favourite flavour combo EVER! In fact, I just blogged choc orange ricotta tarts but these look much more chocolately & orangey. Yum! The tarts sound yum will have to go and have a look at those! 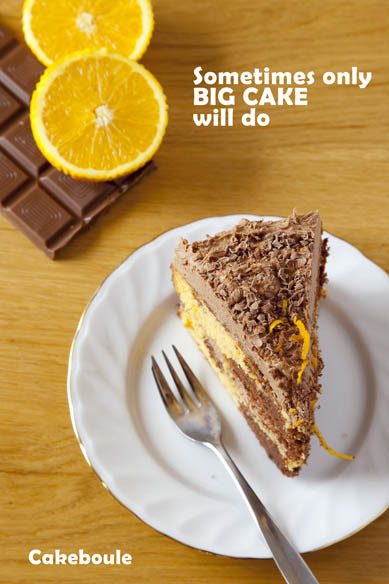 Chocolate orange is a great comb but then most things with chocolate in win it for me! Just gorgeous. I’ve never made a marble cake before. This certainly looks like the recipe to give it a go with. have a WONDERFUL summer and look forward to your return! Absolutely fabulous cake. 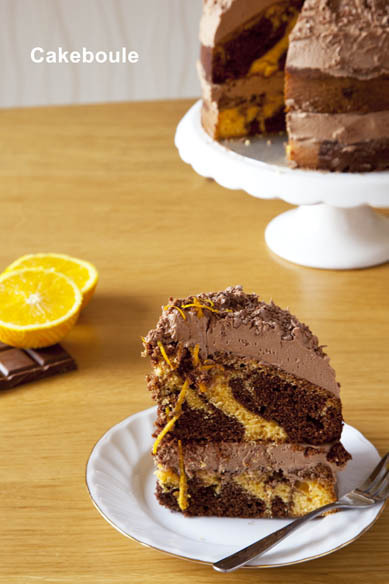 A chocolate orange marble cake is fabulous in it’s own right, but slathered in chocolate orange butter cream …. words fail me!!! Hope you have a great summer with batteries fully recharged at the end of it. I have to wait until September, but I’m hanging on in there. What a pretty cake! that chocolate frosting looks so amazingly fluffy that I just want to dive in, mouth first! This looks absolutely incredible. 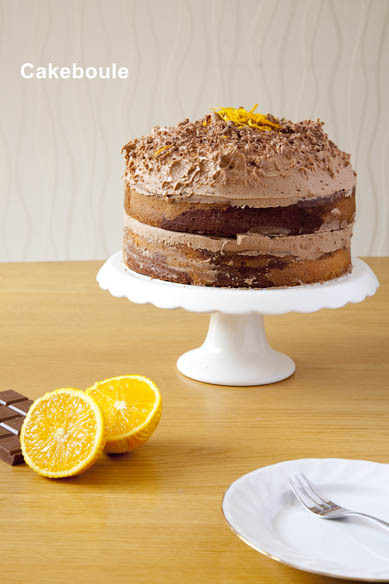 Chocolate orange always makes me think of Christmas for some reason but I could happily eat this right now! What a beautiful cake! The marbling is so pretty and perfect. I’m sure it tastes very delicious as well, yum! This looks wonderful and I’m sorry after such a lovely shout out that I’ve only just come across it now – been checking my feed reader and you’ve not posted again since? I hope you either come back or are enjoying what you’re doing instead! Thanks Sarah! Sadly I’ve not being doing anything other than work but needs must. Perhaps the new year will be easier. Hope you and your family are all well. Merry Christmas 🙂 I do miss baking. This cake looks incredible! I’m definitely thinking of making this! Your photograph is amazing too! Thank you and you must try it! 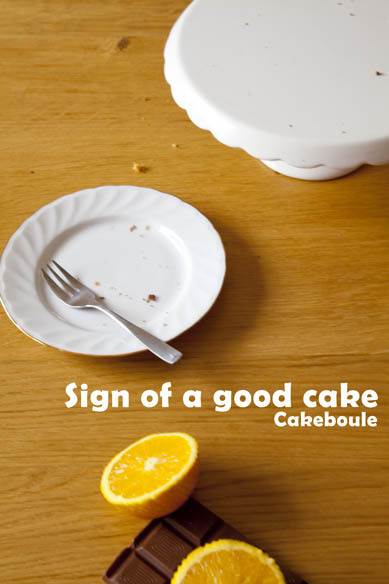 I have to say the cake on your profile image looks delicious so will be popping by to have a look soon. Happy baking!